The following two solutions are improvements to this solution. The idea is that we can skip some elements to reduce time in the average case. Each time, you will have to do traversals along the left and right edges. At level h, you iterate zero times (no child). At level h - 1, you iterate once (one child). And so on. So that is 0 + 1 + 2 + ... + h steps just to compute the left edges, which is h(1 + h)/2 = O(h^2). The countNodes part has f(n) = 2 * 2 ...* 2 = 2^h which is the number of nodes. Therefore, the time complexity is bounded by O(n) where n is the number of nodes in the tree. 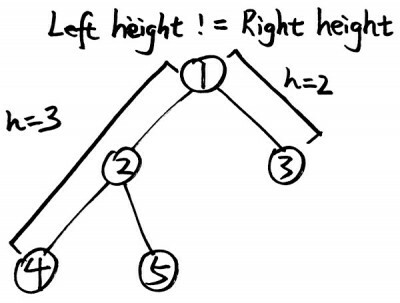 Average time complexity is O(n/2), which is half of the number of nodes in the tree. 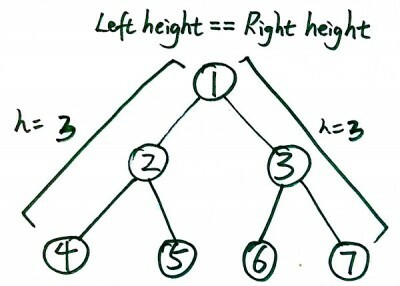 if 6 is not in the tree in the first picture, then the tree will not be complete. Hence, will not be a complete binary tree. what will happen if 6 is not on the tree? In the worst case, you will have to keep making recursive calls to the bottom-most leaf nodes (e.g. last level only have one single node). So you end up calling countNodes() h times. Each time, you will have to do traversals along the left and right edges. At level h, you iterate zero times (no child). At level h – 1, you iterate once (one child). And so on. So that is 0 + 1 + 2 + … + h steps just to compute the left edges, which is h(1 + h)/2 = O(h^2). The space complexity will just be the size of the call stack, which is O(h). how to calculate complexity here?